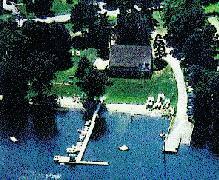 This guide has been prepared to introduce you to various aspects and activities of the Malletts Bay Boat Club. We hope it will inform you about the club and encourage your interest in joining in the activities and operations of the club. The club has been in continuous operation since 1936 as a voluntary participatory club, meaning that the members manage and perform all the work involved with keeping a club such as ours going. 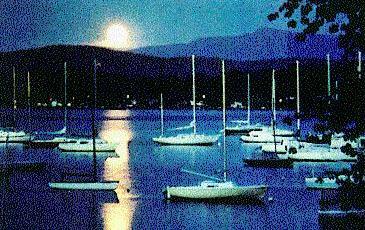 In addition, the members share a common interest in sailing and boating on Lake Champlain which various club activities encourage. 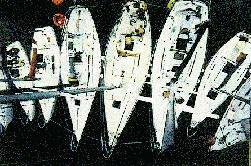 Membership is open to sailboaters through an application process. The clubhouse is available for the members to use and enjoy. It is the responsibility of the membership to help maintain the clubhouse and the surrounding grounds. There are bathrooms and showers on the ground floor, as well as a number of lockers which are available to rent for a nominal fee, by club members. The upstairs o the club houses an attractive lounge and is the site of the majority of our social events. There is a small kitchen and a video center for viewing sailing related videos. There is also a library stocked with sailing books. In addition all of the club sailing trophies are displayed in the trophy case on the main floor of the clubhouse. At the west end of the clubhouse is an apartment which houses tenants who help provide secure for the club. The club has a very active social calendar beginning in the winter and continuing in May with the traditional Get Acquainted Party to introduce new members to the rest of the club. There are numerous summer weekend and evening cookouts and parties at the club which often follow races. These are listed in a calendar printed in the club log. The social season ends in the fall with a season ending banquet. The club runs a very active race schedule with a Thursday night race series for cruising boats, a Tuesday night Laser series, multiple weekend races for one design and cruising boats and a fall series of races. In addition, the club is one of three members of the Lake Champlain Racing Conference and hosts several conference races during the summer which are also open to club members. Any member of the racing committee would be happy to answer any questions prospective members have about club racing and our racing program. Crewing spots on racing boats are always available to club members who would like to get a taste of racing without involving their own boats. A bulletin board in the lower level of the club is available to advertise your interest in crewing. Non-members are also encouraged to participate in all club races. 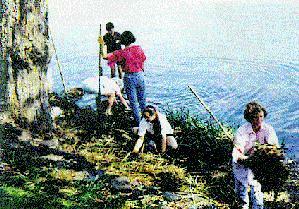 Because the club is voluntary operation, we accomplish the work through a number of committees. The first and most important committee is the Afterguard which is the governing body of the club and is elected at the annual meeting in October by the membership. The Afterguard helps to run the club's operations and chair the various committees, which include: cruise, entertainment, finance, grounds, harbor, junior sailing, launch, long range planning, membership operations, and race committee. Every club member is expected to serve on at least one committee. 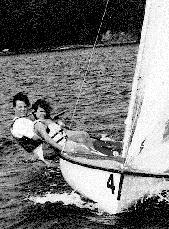 The club has an active sailing instruction program throughout the summer months for children of members and non-members. 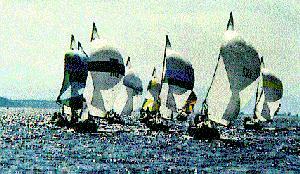 The program traditionally has been for youths from the ages of 8 to 16 and classes vary from beginners to advanced racing. The Junior Sailing Program owns a fleet of Flying Juniors/Optmists and expert instruction is available from sailing instructors. The junior racers compete both on the Lake and also in the waters of neighboring states. There is an additional fee for this program. The club traditionally offers cruises throughout the summer to various spots on the lake. There are many weekend cruises during the summer which provide a great opportunity for club members to explore various parts of the Lake and raft up for a social gathering on the evening of the cruise. 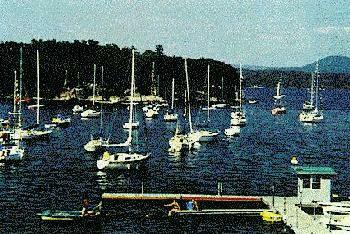 The club operates and maintains a mooring field for the member's boats. Each member is entitled to one mooring. The Harbor Committee is available to assist the new club members in complying with the requirements of the mooring system and will determine mooring assignments best suited to the member's boat.